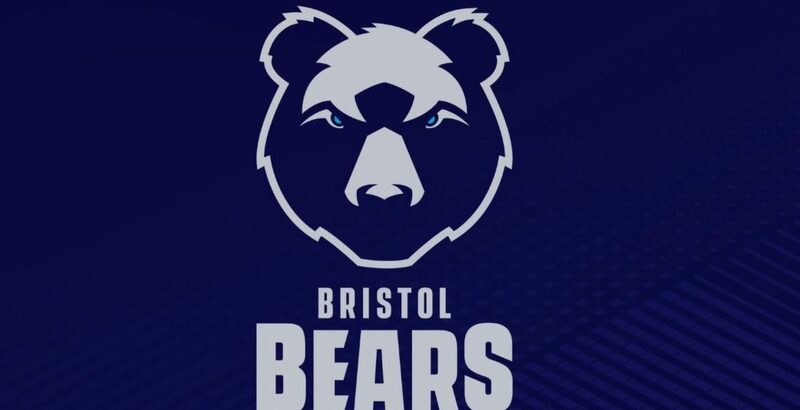 Bristol have incorporated 'Bears' into their name and changed their club crest to an image of the animal's head in a relaunch to mark their return to the Premiership next season. It is the second time in the past 20 years that the club has adopted a nickname, having taken the name Bristol Shoguns as part of a sponsorship deal. The club hopes the the name change to Bristol Bears will "attract a whole new generation of supporters". The name comes into effect on 1 June. Owner Steve Lansdown, who also oversaw Bristol's permanent move to Ashton Gate when the club last played in the Premiership in 2015-16, said they had to be "prepared to break the mould' in an effort to market the side in a "growing international market". He continued: "This is an exciting and major commitment to ensuring the future success of the club. "We recognise that there is a history and tradition associated with all sports clubs and we are conscious and proud of the loyalty, bond and passion so many share for Bristol Rugby." In a 19-page brochure that accompanied the relaunch, the club drew heavily on comparison to the bear, referencing physicality, spirit, hunger and fearlessness as well as "awakening from hibernation". Some Bristol fans have criticised the name change, claiming it will leave the club "open to ridicule"
Bristol, the city itself, has no history of being home to any bears. Bristol will return to the Premiership in 2018-19 as Championship title winners after being relegated last term. Head coach Pat Lam, who has guided the club back to the top flight in his first season in charge, said he "loved the idea" of a name change to the Bears when first consulted. "The whole spirit is a huge part of it," he told BBC Radio Bristol. "To get something that resembles and resonates with myself and my coach philosophy and what we are trying to do was exciting." Bristol Rugby Supporters Club treasurer Mike West said he was "disappointed" that the club had rebranded itself without consulting the group. "I'm not best pleased," he told BBC Sport. "I'm absolutely puzzled why they didn't consult the Bristol Rugby Supporters Club, which represents a majority of fans. "I'm confused about why - this is a club that has been around since 1888 and is one the oldest rugby clubs that still exists at the highest levels. I don't understand why they have suddenly contorted the name after 130 years without some reference." West said the club had repeated the mistakes made when they sold their name as part of a sponsorship deal and added that they are open to ridicule. Reaction on social media has been largely negative from fans, with West adding that many would refuse to acknowledge the Bears moniker. "People don't go bear in Bristol that often," he said. "In the Premiership next season the opposition fans will surely be calling us Yogis, or Boo Boos or the Fuzzies." While not every Bristol fan is against the change on social media, an overwhelming majority of responses to the relaunch have not been favourable. The club, it seems, has become the subject of many memes. Name changes in professional rugby union in England are nothing new, not even for Bristol. A commercial deal with car manufacturers Mitsubishi saw the club renamed Bristol Shoguns after a sport utility vehicle. Not even selling a name is unique in the game, with Rotherham Titans first taking the nickname on in a sponsorship tie-up on their promotion to the Premiership in 2003-04. The Championship club even went as far as completely changing their name to the Earth Titans for two seasons as part of a sponsorship deal. Premiership club Wasps went the opposite way to Bristol when, in 2014, they dropped London from their name, having only adopted the prefix in 1999. The name change, of course, made it easier when they relocated to Coventry shortly afterwards. Premiership leaders Exeter only incorporated Chiefs into their name in 1995, while Sale took on the Sharks name in 1999. Championship club Yorkshire Carnegie had four name changes in 22 years after Roundhay and Headingley merged to make one club in 1992. The club started out at Leeds Rugby Union Football Club, then in 1998 became Leeds Tykes when they amalgamated with rugby league giants Leeds Rhinos, and then in 2007 they changed that to Leeds Carnegie. Their latest change to Yorkshire Carnegie was done in an attempt help the club appeal to the broader region.